Linoleum is a material they use in the hallway, in the kitchen, in the bathroom – where quite often have to do wet cleaning. 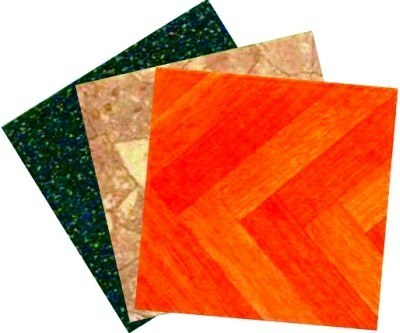 He is popular due to high durability and strength, and the flooring is very easy. Before you start laying the linoleum, it must be straightened. Typically, the storage, transportation and sale of the coating is carried out in tight twisted coils, so when spreading it on the floor waves are formed, which should be smooth. There are several ways to align the linoleum. To the alignment of the linoleum took place evenly, cut it into strips corresponding to the size of the room, spread them out and allow to rest up to until the waves are not smoothed. This may take quite a long time, but the amount of work will be minimal. For linoleum, you will go, but you can not put heavy objects on it, because they can leave indentations. If you need to save time, then just loop the coil with the linoleum side facing inward, in such a position, he should be a few hours. Note that the inner edge before the fast left internal and after it, then the alignment will be correct. If you are in the store wrapped the linoleum outward side, respectively, it is necessary to twist the underside of the inside. When linoleum is laid it is necessary at once, is the fastest method of rectification – smoothing. One edge of the cover attach the baseboard. Take a long Board, put on her cargo, now call assistants and with their help move the Board with the load to the opposite wall. At the wall stop and without removing the load, attach the other edge of the linoleum. Then smooth the coating surface in the perpendicular direction in the same way. The temperature in the room where you will lay linoleum, must be at least 18ºC, and the humidity 50% (plus or minus 10%). The process of smoothing must be carried out at the same temperature and humidity. If the temperature is low, in summer the coat may swell. Cutting linoleum, leave a gap between it and the wall a few inches below the surface was much to straighten. Then the gaps can easily be closed by the skirting boards, and under the linoleum is not formed air bubbles.